The Bullish Adventurer unveiled at the 2019 AAAA Expo | Pedders Suspension – The Car Suspension Specialists! 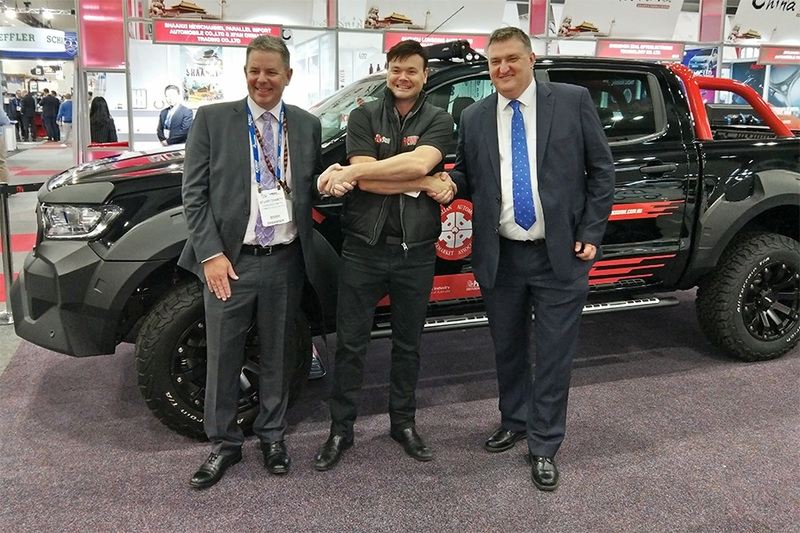 The morning of Thursday, April 4th at the 2019 Australian Automotive Aftermarket Association (AAAA) Expo, AAAA Chief Executive Officer Stuart Charity and Stuart Lamont, Chief Executive Officer of Caravan Industry Association of Australia jointly unveiled The Bullish Adventurer: a fully customised Pedders MS-RT Ranger and Jayco Adventurer Caravan package which is being given away as part of an exciting online consumer promotion. 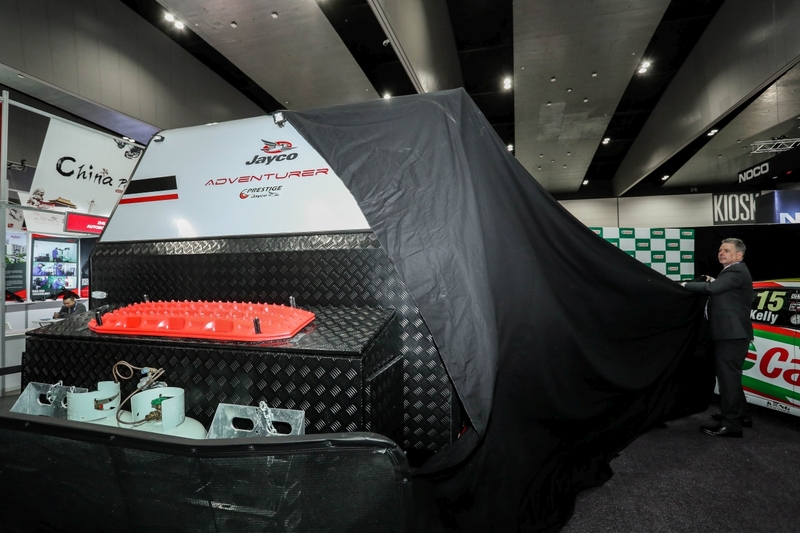 The two industry leaders were on hand to take the covers off the Pedders MS-RT Ranger and Jayco Adventurer Caravan which will be given away to one lucky entrant in a promotion that celebrates the recent launch of the Caravan Industry Towing Guide website. The website is designed to educate road users on the importance of safe towing practices and covers everything from preliminary safety checks to towing tips and techniques, and everything in between. The Towing Guide website also allows users to download a digital copy of the Caravan Industry Towing Guide for their reference. In addition, visitors to the website can use Pedders free Weight Matrix software that generates a report to help users calculate their combined vehicle RV / Caravan weight and how different tow “scenarios” affects their vehicle’s dynamics. The Bullish Adventurer will be on display at Stand R8 in the main hall of the Melbourne Exhibition Centre for the duration of the AAAA Expo from April 4-6. Expo attendees are invited to come see the stunning 4×4 and Caravan package for themselves and are encouraged to enter the promotion. For a chance to win this amazing prize, entrants should visit the Caravan Towing Guide website at https://caravantowingguide.com.au/ and enter their details before June 30 2019.